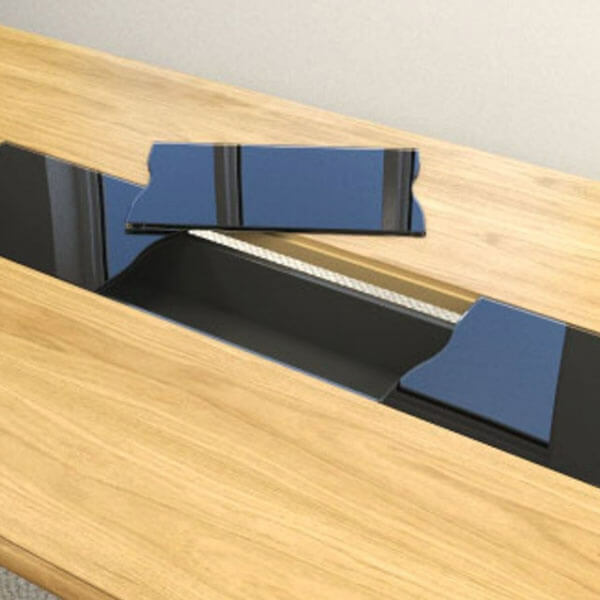 There are usually a few accessories recommended to complement any furniture installation. 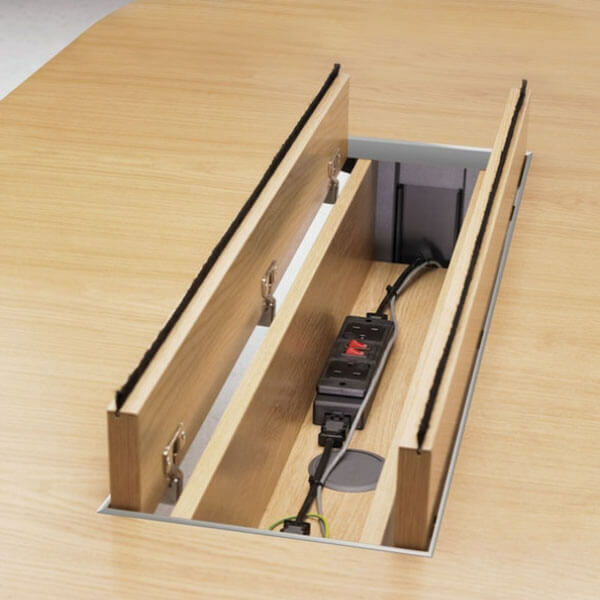 The following pictures show a few ideas from cable management to footrests. 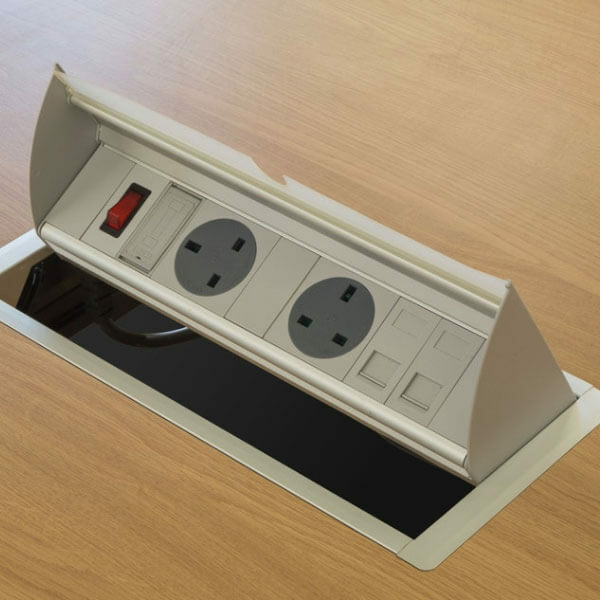 No messy wires to think about, not just for the aesthetic look but from a safety point of view too. 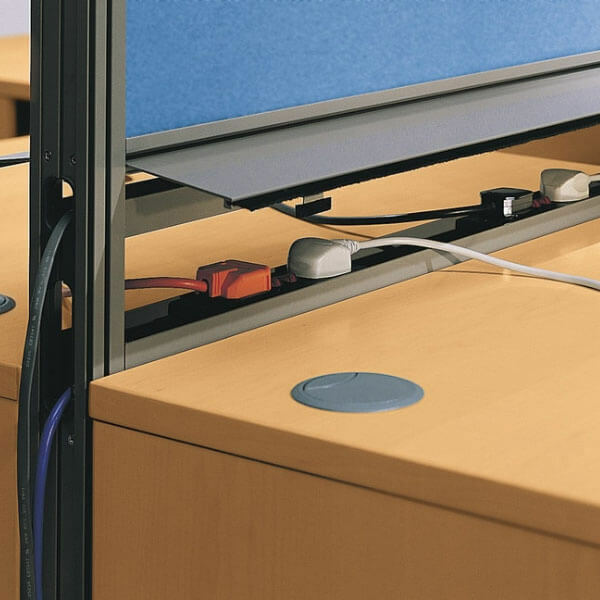 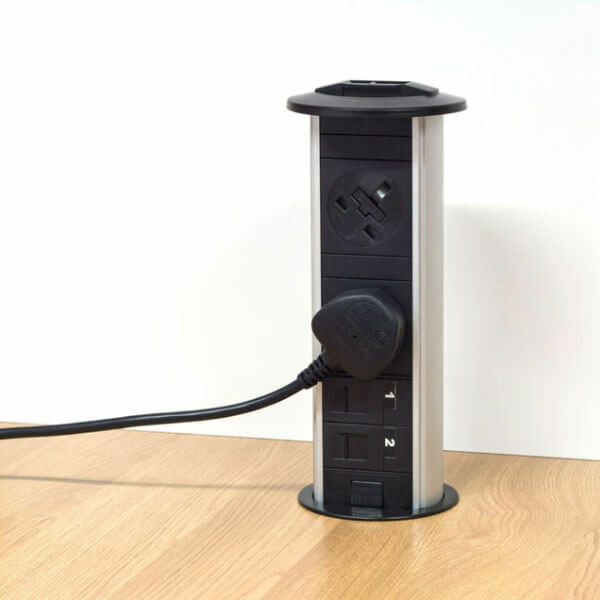 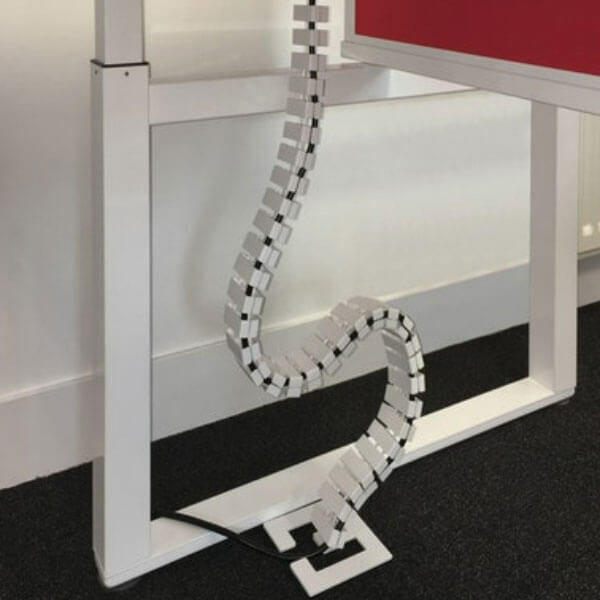 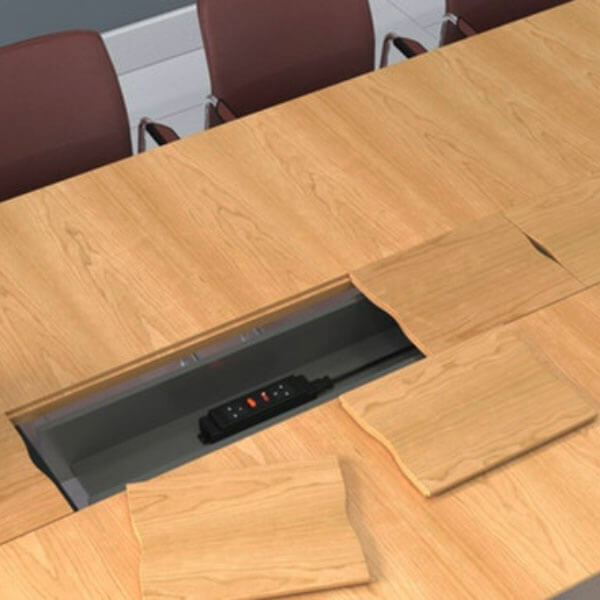 All wires are concealed under your desks or in screens/cable spines dependent on choice and desks chosen. 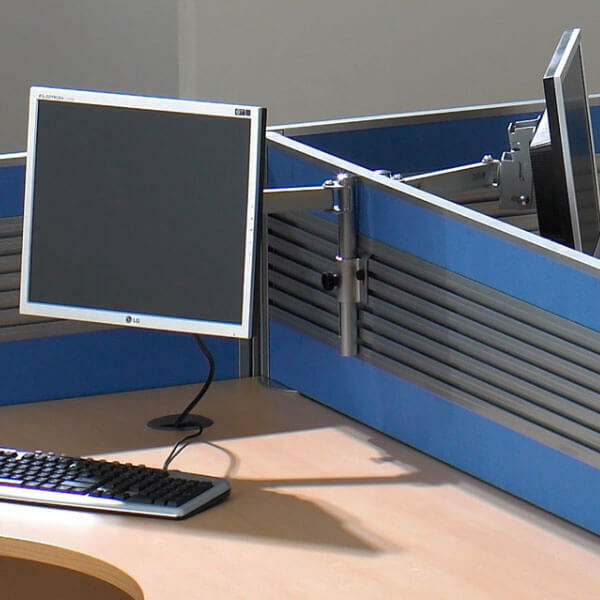 Monitor arms are available in dual or single with cable management included. 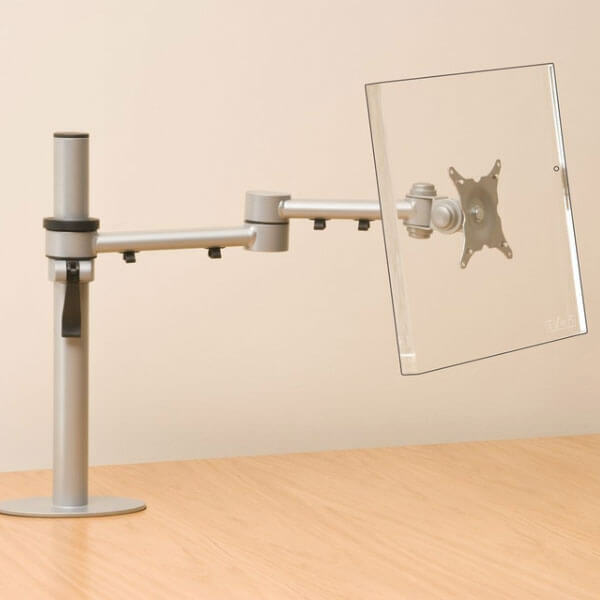 They can either be clamped onto your desk, through the porthole or attached to screens. 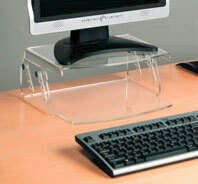 Monitor/laptop stands are one way of raising your screen to the correct level to help prevent neck pain. 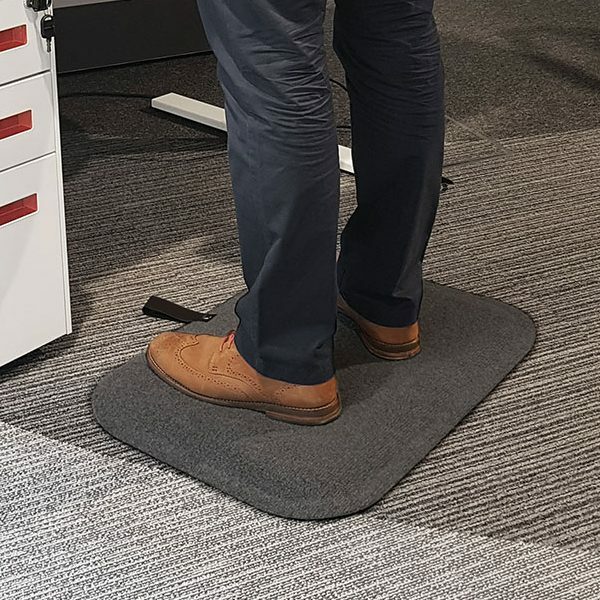 A cost effective sit-stand solution. 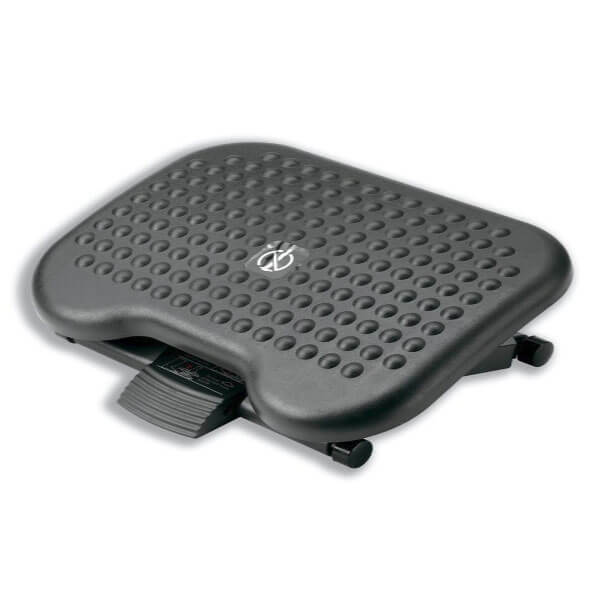 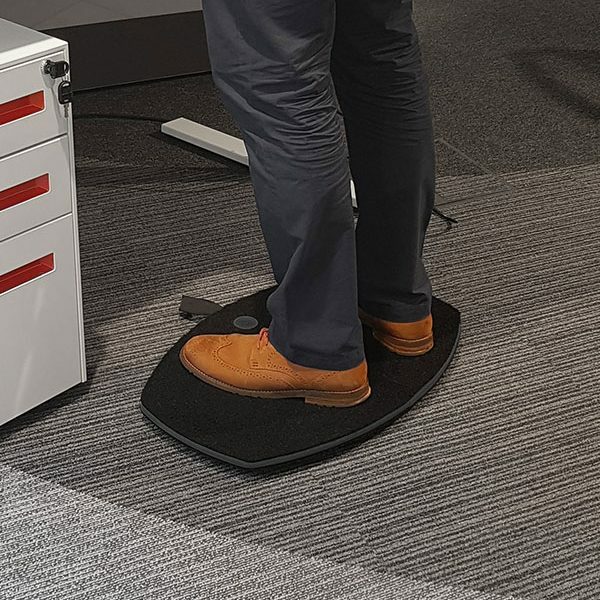 Easy to use to enable you to go from sitting to standing. 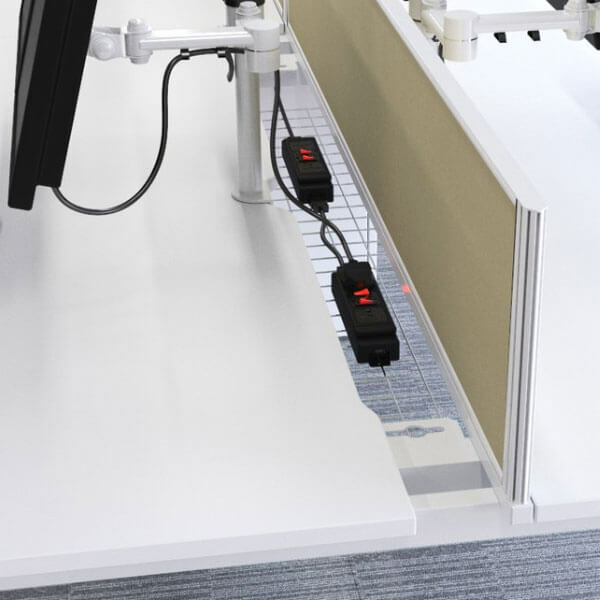 Retrofit – can be added to any existing workstation. 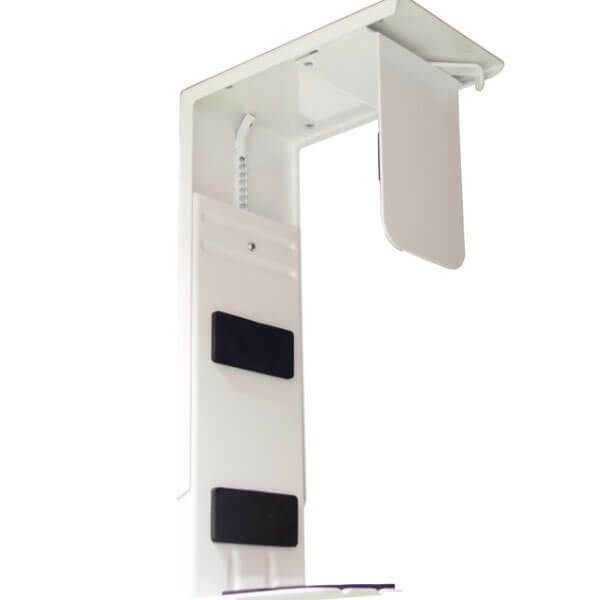 Smooth vertical height adjustment from 150-500mm. 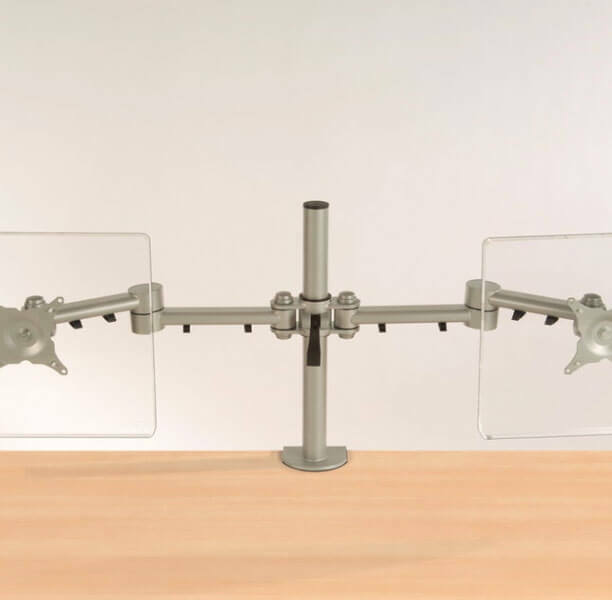 Integral fitting for a monitor arm. 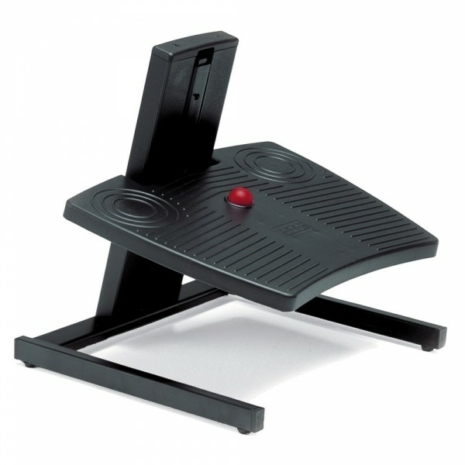 Optional keyboard and mouse platform included. 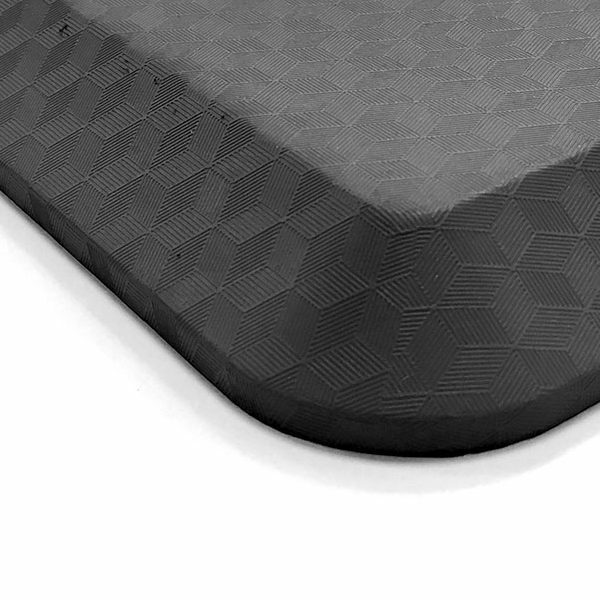 Maximum weight capacity of 15kgs. 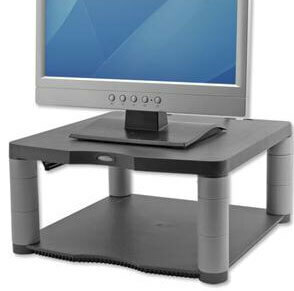 Sitting at the correct height is important to ensure correct posture. 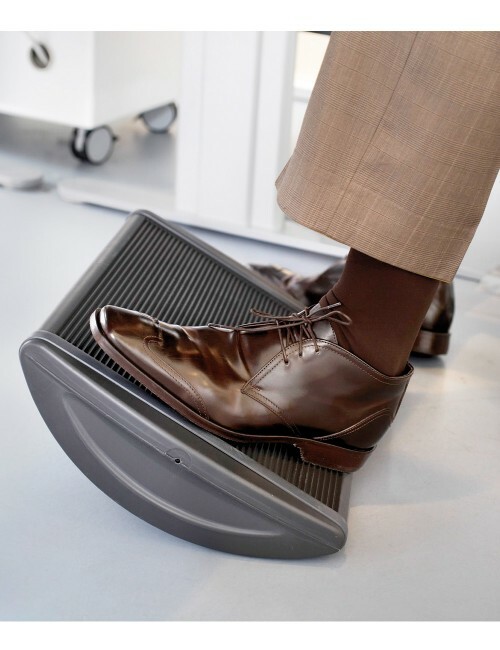 For some this may mean that your feet do not reach the floor in which case a footrest should be used. 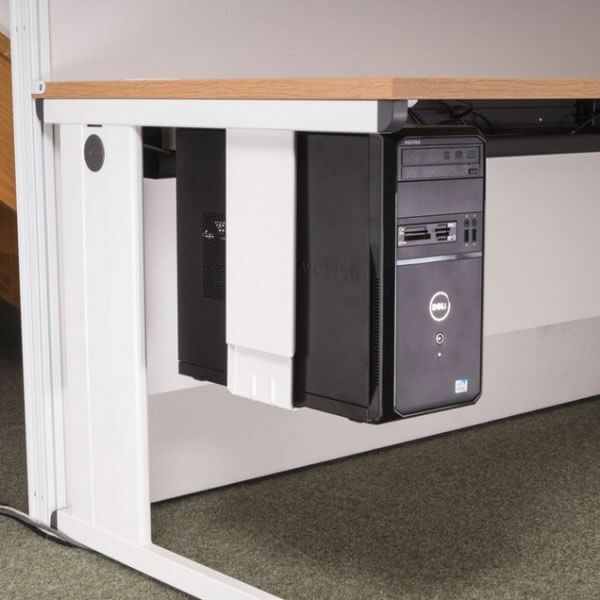 A good way to keep your CPU safe and secure off the floor without taking up desk top space. 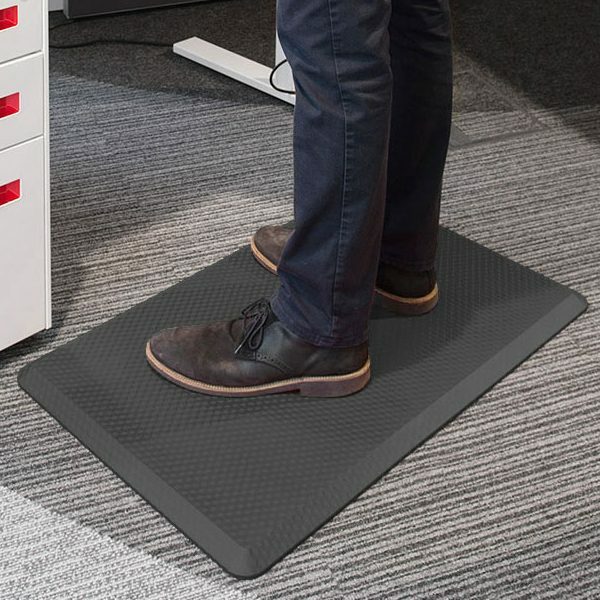 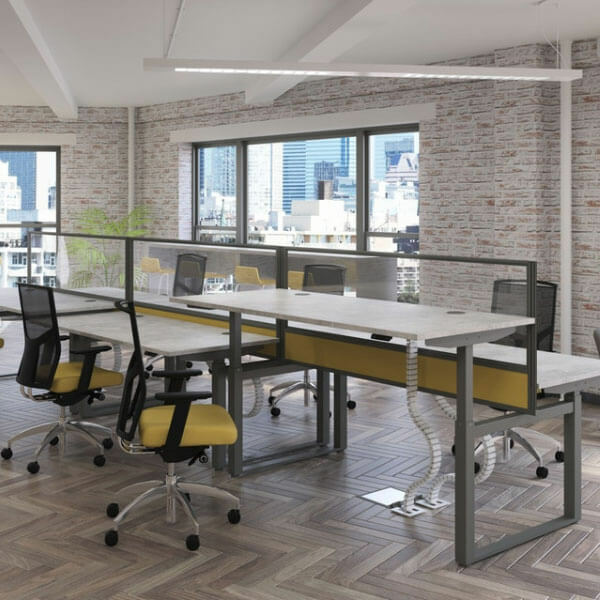 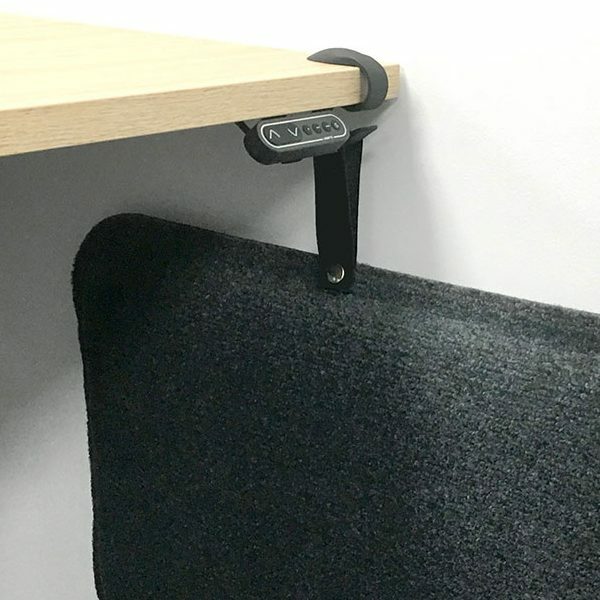 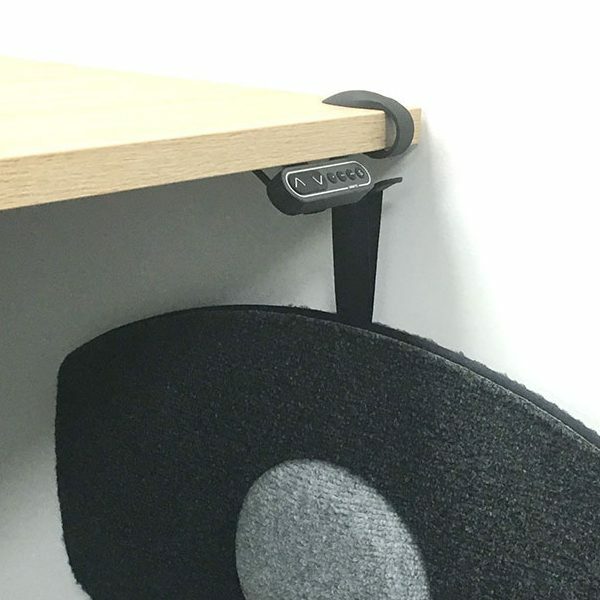 For use with sit-stand desks to help with the reduction of fatigue by improving circulation, reducing swelling of the legs. 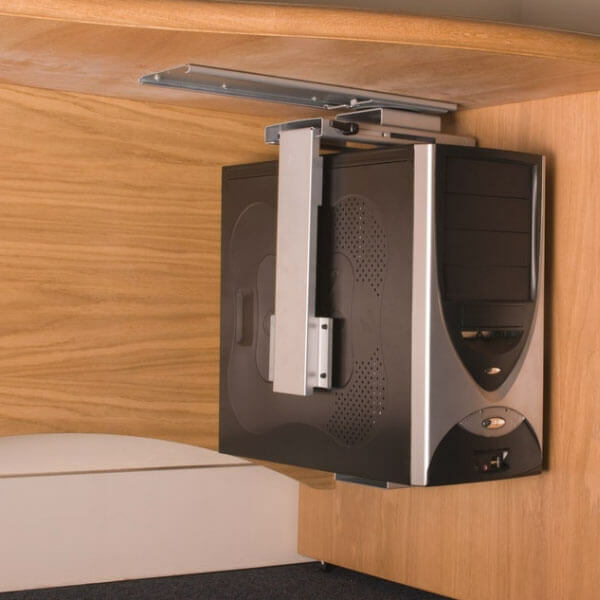 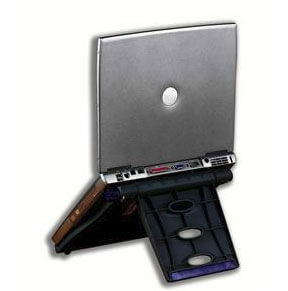 Some come with a hanging clip which is compatible with any desktop for storage when not in use. 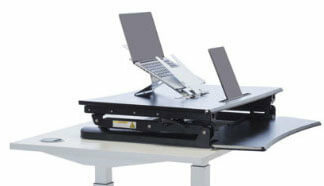 Easy to clean with brush, vacuum or wash with warm water.